Time does strange things to the ears of a contemporary music aficionado. What’s in style today inevitably goes out of style only to come back in vogue decades later. Popular culture is consistently cyclical. It seems distinctly, and somewhat unfortunately, appropriate that as rock and roll reaches the typical retirement age for the American worker, it becomes increasingly difficult for young musicians to mine fresh and revolutionary sounds and approaches from the genre. While perhaps not immediately evident to younger ears, A Deeper Understanding, the fourth full-length album from The War on Drugs, draws directly from the heartland rock of three decades ago. This style is perhaps best remembered during the late eighties when you couldn’t turn on a radio or stroll through a mini-mall without hearing Bruce Hornsby and the Range’s “The Way It Is” or any one of Genesis bassist Mike Rutherford’s side project Mike and the Mechanics’ ubiquitous singles. 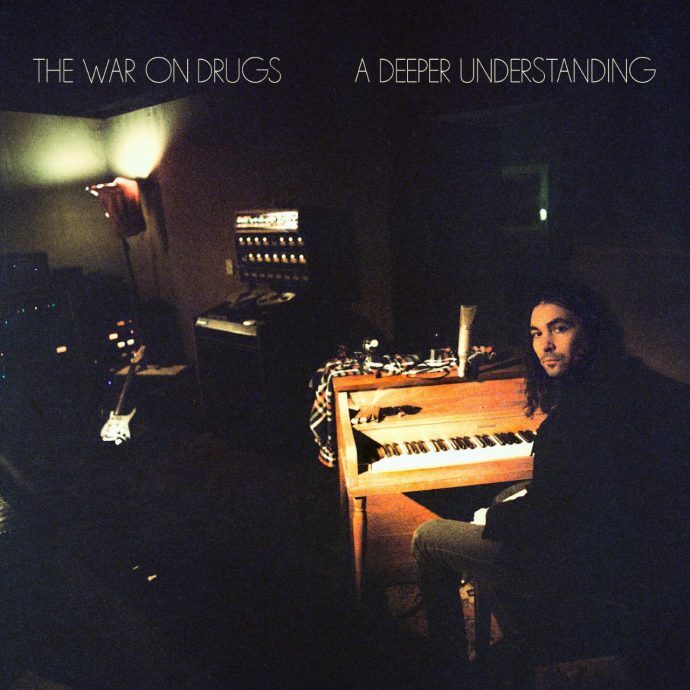 This isn’t to say that the derivations War on Drugs frontman Adam Granduciel pulls from on this record aren’t worth revisiting, it’s only to say that we’ve been here before, and indie rock fans expecting something groundbreaking given the hype surrounding this release may be disappointed. The songs on A Deeper Understanding all have a distinctly American feel. Granduciel’s Dylan-esque vocals enhance his emotive delivery on songs whose thoughtful lyrics deal largely with pleasure and pain, light and darkness, and togetherness and loneliness. The dreamy, sumptuous production is best exemplified on the layered guitar work on “Pain”, and Granduciel’s lyrical sincerity shines through beautifully on the album’s standout centerpiece, “Strangest Thing”. A Deeper Understanding’s second half kicks off with the peppy “Nothing to Find” which provides a timely mood boost and hope for a strong finish to what is a mostly solid first half. The remainder of A Deeper Understanding, however, isn’t nearly as captivating. The album’s last songs all begin with similar synth washes which quickly fall into same-sounding mellow guitar and keyboard refrains. Granduciel’s relaxed vocal delivery never deviates, and by this point in the album one can’t help but wish for at least one breakout moment that will have him delivering something above and beyond his consistently nasally whisper. This moment never arrives. While initially A Deeper Understanding comes across like a welcome throwback, and although the songwriting and production stays consistently decent throughout, by the time the last third of the recording is reached, listener ennui settles in due mostly to slim dynamics and a lack of stylistic deviation. Regardless, the majority of material on The War on Drugs’ latest is enjoyable enough, and the subgenre it takes its inspiration from is original, albeit tedious when overused.